Many people have been asking us TpT sellers/bloggers about how we got started and what motivates us to keep going lately. 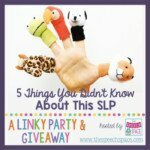 Teach Speech 365 is holding a new linky party to gather these answers from your favorite SLP sellers/bloggers! I knew I had to participate to help answer some of your questions! Below are some common questions I get regarding my blog and TpT store! 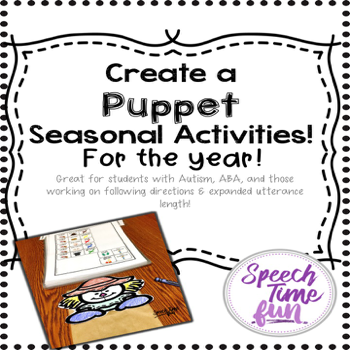 What made me start Speech Time Fun? I was bursting with ideas and wanted a place to document them. 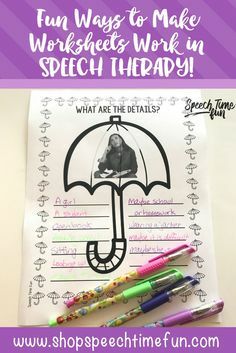 When I started Speech Time Fun, I didn’t think anyone would actually read it!! It was more for me as like a little diary. 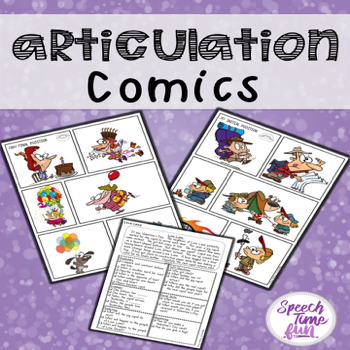 Around the time I started Speech Time Fun, Pinterest was becoming popular and I was having fun using this tool to browse for educational/speech ideas. I saw there was VERY little for speech. 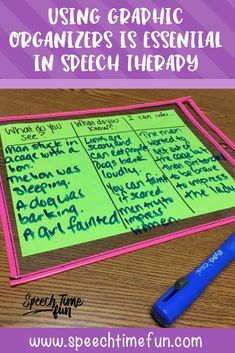 I started having fun taking pins I saw for reading/educational ideas and finding a “speechie” twist. 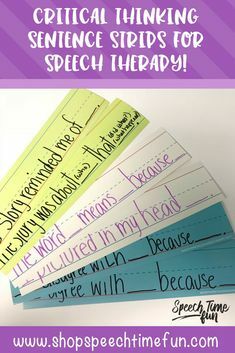 I created a Speech Time Fun Pinterest account and I had so much fun seeing my pins with my new “tags” floating around Pinterest. I realized I had something here! 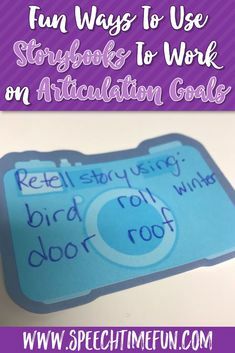 I started having followers on my Pinterest account which then I started pinning my Speech Time Fun blog posts and TA DA…Speech Time Fun became alive and active! What made me start a TpT store? 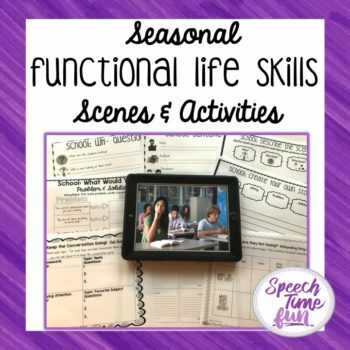 For about 6 months, Speech Time Fun was just for freebies that I would share using Google Drive. There was no way to note how many people were downloading or how much traffic my free ideas were getting. 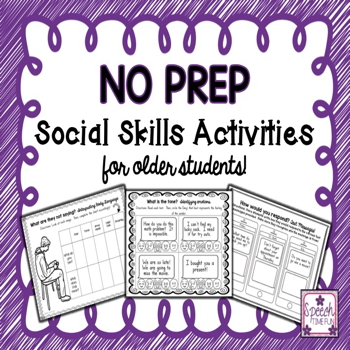 Around July 2012, I realized there was VERY little speech materials available on an educational resources website, TpT. I had purchased some materials from general education teachers from that site in the past but it didn’t fit all of my OCD requirements. I decided, hey…why not try it out..if on one buys OH WELL. I spent that summer learning more about the website and what I would need to do to open a shop. By August, I had posted my first few materials! I could not believe it when I realized people were interested in my materials! The creative juices kept flowing from there! 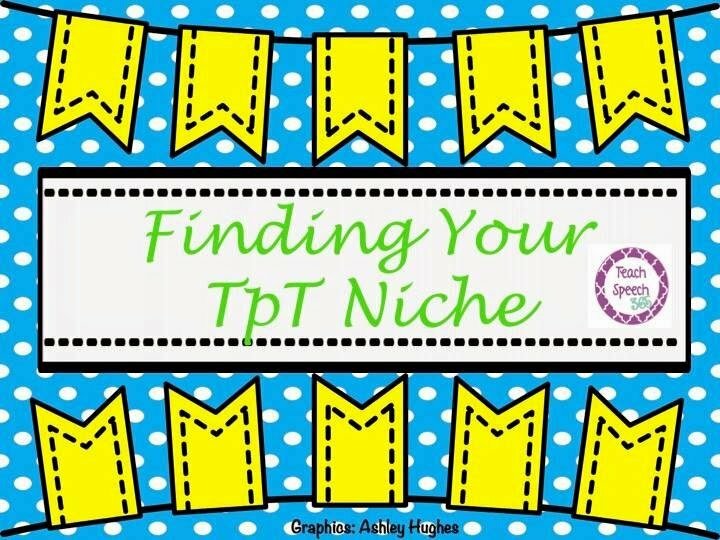 What have I learned from opening my TpT store? I learned that many of you are OCD like me! 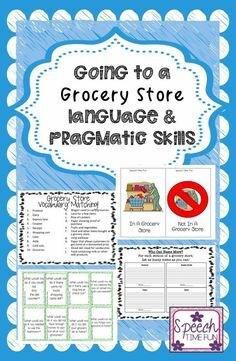 You like materials that have all things ready to go: visual aids, activities, and review worksheets. 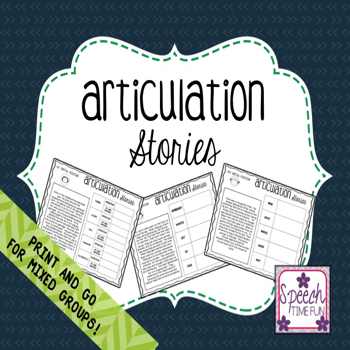 I take what I use in my therapy room, add cute graphics, and prepare it ready for you to use! It is important to stay current. 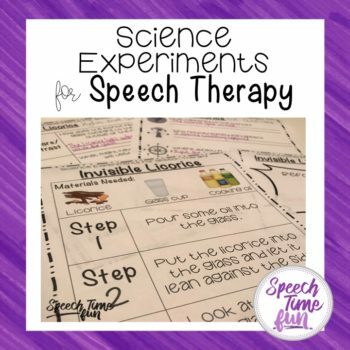 I am always researching new therapy techniques, popular storybooks, and unique ways to teach difficult concepts. The more I stay current, the more I can prepare the most current materials for you! Knowing what is already out there! I have had my TpT store open for almost two years. Since then, many SLPs have opened their own stores. It is important for me to keep my eyes open to what the other SLP sellers are posting. This way, I don’t post anything too similar and this way I keep things different and fresh! 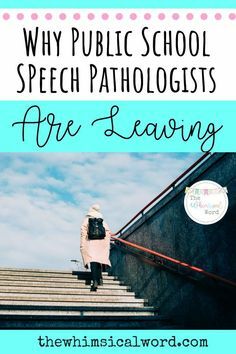 What have I learned as an SLP TpT buyer? Not only do I sell but I also buy OFTEN! Sometimes, I have an idea of what I want to use in my therapy rooms and I browse to see if it already exists before I create it on my own. If I find it and it meets my requirements, I buy it! What are my requirements?! If I am buying I am usually looking for something specific (such as cause/effect at the paragraph level task cards. You can find those HERE!). 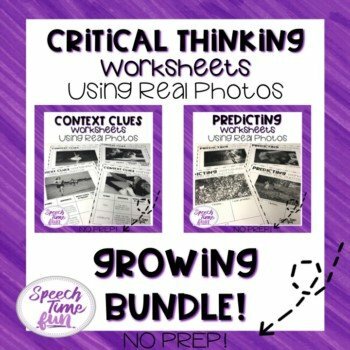 Since most TpT products aren’t in the format I like to use (activity, visual, worksheets), I like to find things at the right price since I will probably still have to make the visuals/worksheets to go with it. I usually purchase task cards this way I can use them with any motivating game/activity. I can also easily make a photocopy of a few of them together on a page to create a quick “worksheet” as a review/data collection. It is also important to check out feedback! See what other buyers thought of that product. Not thrilled about an aspect of something you bought? Don’t hesitate to leave feedback! Some sellers will fix things for you! Ask questions!! Not sure of what a product comes with, ask the seller! Like a product and want to know if they will make more like it, ask the seller! Most sellers respond back pretty quickly! I have asked several sellers questions like these to learn more about their plans for future products. I hope this post has helped answer some questions about me and my role in the TpT world! 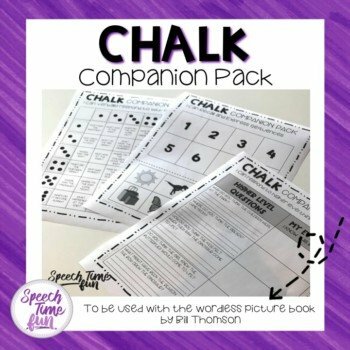 Click HERE to visit my TpT store and see what new things I have in store for you!!! 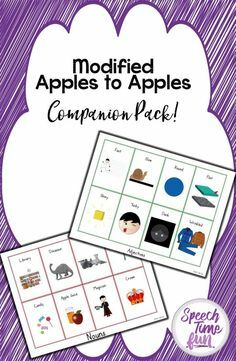 Check out my custom categories to easily jump to see products in popular categories specific to SLPs and my TpT store! 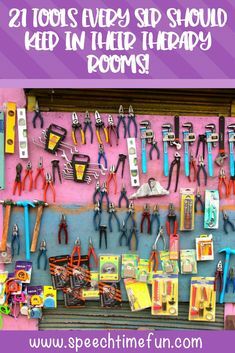 My Favorite Things (LINKY PARTY! ): Early Intervention Toys!